Know your NYC Courier Deliveries are secure with our Reliable, Five-Star Trusted SameDay Messenger Service in NYC. The Absolute Best Delivery Service in New York City Period !!! We are available in NYC , 7 days a week. We offer courier service and online ordering and tracking. All NYC couriers/messengers are bonded & carry Photo ID cards. All packages are automatically insured. We perform direct same day deliveries in NYC and Tri-State by professional courier service in NYC, messengers and drivers. With 24/7 availability, our delivery team is always on call to speak with you. We are your Premier choice for messenger service or motor deliveries in the greater NYC - Manhattan area; no job is too big or too small. 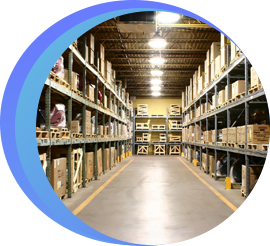 Premier Courier Services, Inc. will help you easily store unused items and have them readily accessible for quick, on time retrieval. 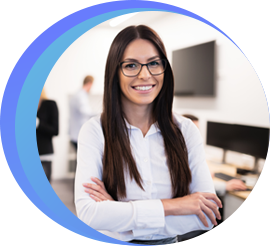 Call on Premier Courier for reliable messenger office support staff, ready and able to tackle your delivery or light clerical projects for a day, a week, or more. We take pride in providing a high level of same-day messenger service in NYC where NO is not an option. DME Specialist. 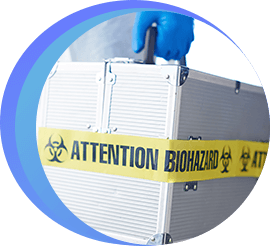 Pharmaceutical supplies, laboratory specimens, surgical instruments, x-rays and reports, are quickly transported on a daily basis by Premier Courier Service. 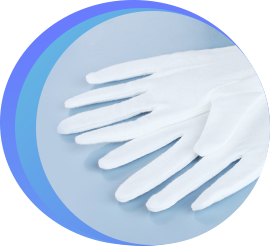 Premier Courier Service in NYC will provide White Glove Service when needed with a 1-2hr local delivery window. We are experts in both residential & commercial delivery service. See What Our Satisfied Cients Are Saying About Us! "I just wanted to thank you the employees of Premier Courier for all your help and availability with the job from hell this weekend. Everything turned out great. Jose and his cousin were great. The kids were thrilled with their gifts. And best of all, it's over. Thanks again Premier for being the Best Messenger service in New York City and for your always reliable and courteous messenger service." "We are writing to confirm, once again, how pleased we are with the work Premier Courier does. In the six years we've been working with your nyc messenger service, we haven't found another nyc courier service that comes close to the consistent level of service and genuine dedication to our needs that we receive from Premier. Promises of lower pricing and faster service from other companies always end up being unrealistic and unachievable in practice. We find that the level of professionalism throughout Premier Messenger is unmatched in the new york city courier industry." "We wish to express our appreciation and thanks for the outstanding nyc messenger service you have provided us during the past two years. We have used many other courier services, none of which met our needs. Your NYC messenger service, continually picks up and delivers our packages on time, and we have not had any complaints since doing business with Premier Courier. Thanks for a job well done. Keep up the good work." "The purpose of this letter is to give much deserved praise to you and your staff at Premier Courier Service for the exemplary job you did in regard to my recent manhattan office move. 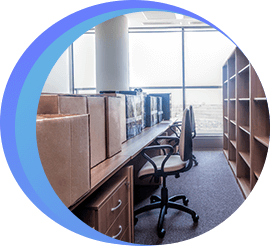 Any move can be difficult at best, but the thoroughness and efficiency of your arrangements set the stage for the most pleasant of moving experiences. The Premier movers arrived on time with a great, helpful, can-do attitude. They worked so quickly I could barely keep ahead of them in the elevator move out. The move-in phase was up three flights of stairs and at the end of the day, but you would never have known it by the way they managed heavy load after heavy load and always with a smile!" This simple pickup turned into a nightmare, and throughout all of this, at all times he was calm and polite, and proved to be quite competent by not leaving his pickup location without accomplishing the mission he was sent to do. After all of this I must say that he is a tremendous asset to Premier." "I just wanted to send over a little note letting you know just how valuable 3 of Premier's employees are to me. Milca, Roy, and Jessica are the most helpful, patient, and efficient people I've ever had the pleasure of working with. They definitely deserve to be recognized. "I just wanted to thank you for all your help and availability with the job from hell this weekend. Everything turned out great. Jose and his cousin were great. The kids were thrilled with their gifts. And best of all, it's over. Thanks again for being the best nyc courier Your always reliable, fast and courteous courier service." "We are writing to confirm, once again, how pleased we are with the work you do. In the six years we've been working with you, we haven't found another nyc courier that comes close to the consistent level of service and genuine dedication to our needs that we receive from your organization. Promises of lower pricing and faster service from other companies always end up being unrealistic and unachievable in practice. We find that the level of professionalism throughout your organization is unmatched in the courier industry." "We wish to express our appreciation and thanks for the outstanding service you have provided us during the past two years. We have used many other nyc courier services, none of which met our needs. Your nyc messengers, however, continually picks up and delivers our packages on time, and we have not had any complaints since doing business with you. "The purpose of this letter is to give much deserved praise to you and your staff for the exemplary job you did in regard to my recent office move. The movers arrived on time with a great, helpful, can-do attitude. They worked so quickly I could barely keep ahead of them in the elevator move out. The move-in phase was up three flights of stairs and at the end of the day, but you would never have known it by the way they managed heavy load after heavy load and always with a smile!" "I am delighted to write this letter to express my thanks to Premier, for choosing Ricky to do my pick up this morning from 55 Broad Street. This simply pickup turned into a nightmare, and throughout all of this at all times he was calm and polite, and proved to be quite competent by not leaving his pickup location without accomplishing the mission he was sent to do. "I just wanted to send over a little note letting you know just how valuable 3 of your employees are to me. Mika, Roy, and Jessica are the most helpful, patient, and efficient people I've ever had the pleasure of working with. They definitely deserve to be recognized. Industry Best NYC Courier Delivery and On Demand Trucking Rates Experience the Premier Difference! 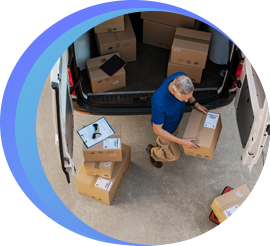 At Premier Courier Service in NYC, we recognize that our customers depend on Premier Courier Service to extend a level of same day nyc messenger service where NO is not an option. Deadline deliveries and special rushes are always welcome, and a Premier messenger in your office or in front of your Customer is always with a smile.